What is a Pineapple Express Storm? Watch Today in LA at 4 a.m. for up-to-date information on the days-long storm. A storm that's bringing three days of rain is fueled by subtropical moisture and moving slowly into the region, raising the threat of flash flooding and debris flows as mandatory evacuations were ordered in areas near burn scars. The storm is expected to move across a widespread part of the Southern California through Thursday. The dayslong soaker could bring the highest rain totals of the season. So what's fueling this storm? A look at when to expect rainfall in Southern California March 20 through 23, 2018. The system that gained strength off the coast, absorbing warm, tropical moisture, was ushered into California by an atmospheric river, which acts like a conveyor belt of moisture. 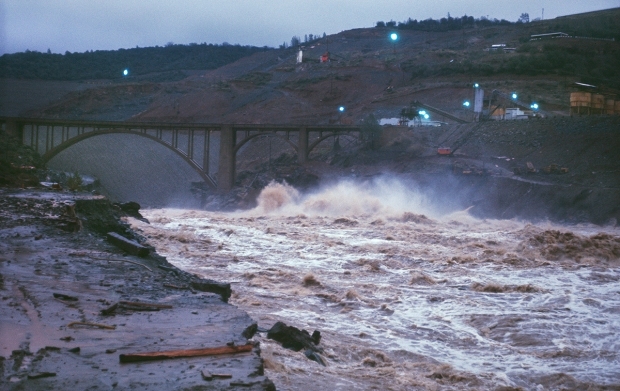 The atmospheric river, also called a Pineapple Express, was one of the reasons for last winter's historic levels of precipitation in California. "Think of it as a river in the sky," said NBC4 forecaster Belen De Leon. "It can be as large as 200 miles." The storm's strength is largely due to tropical air, which can hold more water than cold air. 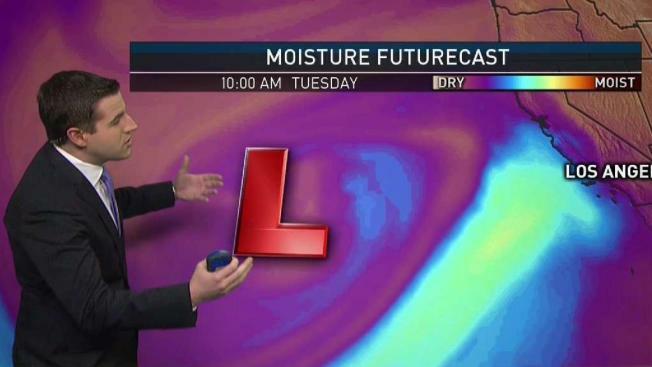 "All this moist air extends all the way down to the tropics, pretty much to the Hawaiian Islands," said NBC4 forecaster David Biggar. "Every time we talk about tropical systems, we're talking about warm air that carries a lot of water, and that carries the potential for moderate to heavy rainfall." An estimated 36 hours of precipitation could add up to some significant rainfall amounts, approaching 4 to 6 inches in the foothills and 2 to 4 inches for coastal areas. The most rain is expected in the San Gabriel Mountains, and in Ventura and Santa Barbara counties. The first critical period for wildfire burn areas is expected to be from early Wednesday into Wednesday night, especially in the Thomas Fire burn scar area. The December wildfire, the largest on record in California, stripped hillsides of vegetation, contributing to the Jan. 9 Montecito mudflow. Heavy rain is expected in the area between midnight and 5 a.m.
Rainfall will continue in Ventura and Santa Barbara counties at midday Wednesday, when showers will extend into Los Angeles County. 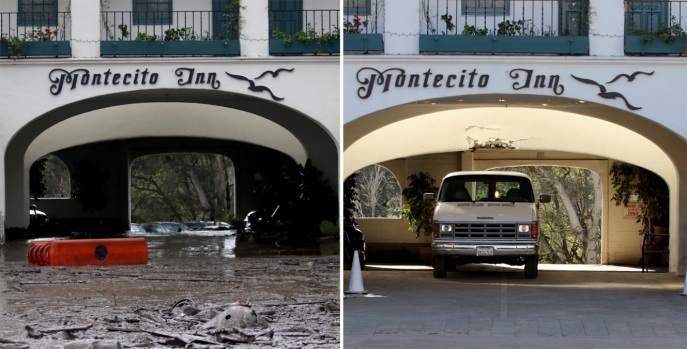 Photos: Before and After the Mudslide Cleanup in Calif.
"Then, we start to see a reall big increase in rain totals," said NBC4 forecaster David Biggar. Some of the heaviest showers on Wednesday are expected around 6 p.m. The rain will taper to showers Thursday afternoon with lingering scattered showers into Friday morning.